- Increase the accessibility of knowledge tools/capacity building programmes through the updating and upgrading of the ECES-SSSA existing training curriculum including translation and customisation. 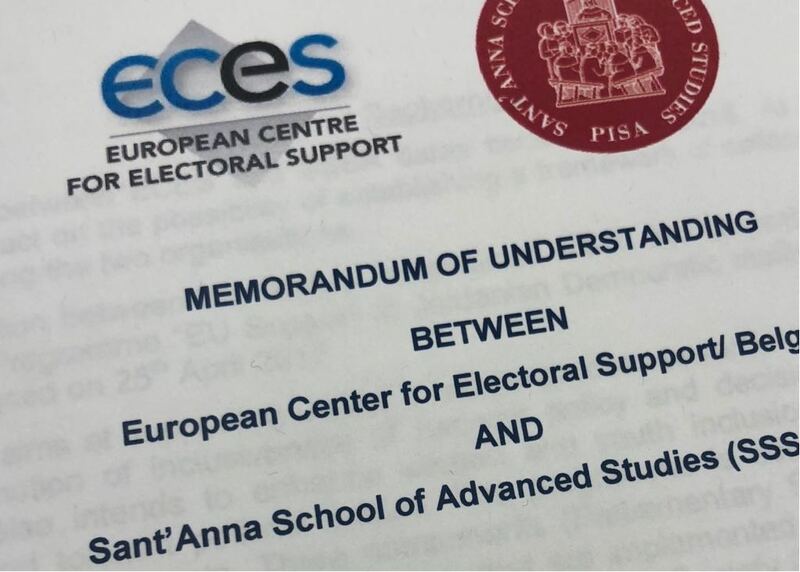 The ECES-SSSA collaboration will mainly allow mid-upper electoral professionals, practitioners and other interested electoral stakeholders to enroll and attend the on line Master on Electoral Policy and Administration (MEPA) or any of the 19 individual modules of MEPA, and which are based on the electoral cycle approach. The collaboration between ECES and SSSA willl result in the update and upgrade of MEPA' scontents, including the customisation of modules as per identified needs. This includes the ongoing translation of MEPA curriculum into Arabic, French, Portuguese and Spanish. ECES-SSSA signed already an agreement with the Independent Election Commission of Jordan (IEC) for selected senior electoral administrators to enroll at the MEPA and take part in other activities. The trilater agreement between ECES-SSSA and IEC will also support the translation of MEPA curriculum into Arabic via the EU funded Programme 'EU Support to Jordanian Democratic Institutions and Development (EU-JDID)'. This on line Master Programme, at the moment available only in English, is based on the 2014 International IDEA designed 'Model Curriculum – Master of Electoral Policy and Administration' and on the concept of the 'electoral cycle approach' as presented in the Methodological Guide of Electoral Assistance of the European Commission and the Handbook on Electoral Management Design of International IDEA. MEPA is hosted in the e-learning platform developed by the United Nations Institute for Traning and Research. The average duration of the Programme is one year. Students may opt to complete the degree within a longer timeframe. However, the maximum duration of the Programme should not exceed two years. Individual modules are also available, leading to the attainment of a Certificate of Completion of the specific module taken. MEPA is composed of an online component (nine months) and an optional residential component at the Scuola Superiore Sant’Anna in Pisa, Italy (up to three weeks). A maximum of 67 academic credits are awarded upon successful completion of the Master Programme. Two to four academic credits are awarded for individual modules. To contribute to reduce the gender gap in electoral administration by contributing to strengthen women’s role in this sector, including in senior positions. MEPA adopts an approach that highlights experiential and collaborative learning, allowing participants to share knowledge and experiences and contribute dynamically to the learning process. This approach focuses on the learning needs, interests and expectations of the participants to ensure the relevance and retention of content. As such, it puts particular emphasis on the active participation of learners through practice-oriented learning activities. Taking into account ECES’ operational experience and lessons learned from having implemented more than 70 projects in support to democracy and electoral processes in over 35 different countries in the last 8 years, ECES contributes to MEPA through the provision of content, in order to further ensure the relevance of the curriculum to practitioners’ needs when it comes to electoral assitance. ECES also facilitates the contribution of high-level experts and practitioners from around the world to this programme. ECES personnel are able to bring a comparative perspective with regards to election management from an electoral assistance and observation perspective, and on the professional challenges that current and aspiring election administrators and practitioners are confronted with. 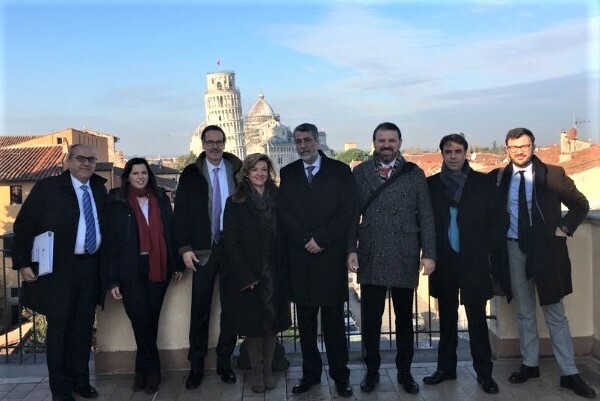 These experts are: Monica Frassoni, José Manuel Pinto Teixeria, Fabio Bargiacchi, Victoria Florinder, Eva Palmans, Dominique Weertz, Gorka Gamarra, David Le Notre, Rudolf Elbling and Vera Lourenco.